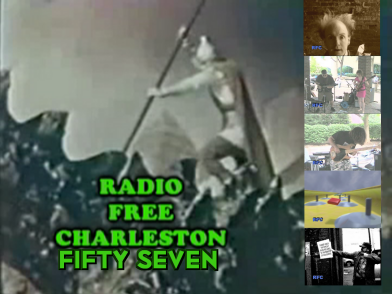 The new Radio Free Charleston, our first show of 2009 and our second “show without words” is online now! This episode features music from Chuck Biel’s Punk Jazz, Elemental Devices and The Scrap Iron Pickers, as well as a short film by Drew The Dramatic Fool. 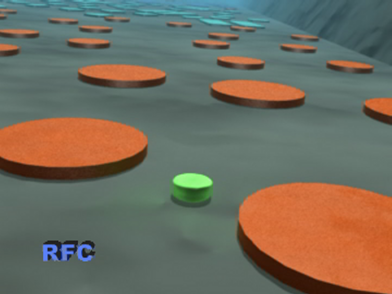 Fans of Frank Panucci’s animation will be delighted as nearly half of this edition of RFC’s running time features Frank’s CGI wizardry. You can purchase the DVD of Drew’s “The Guy Who” Movies here. It’s a great collection of short silent comedy gems. Here’s hoping we get to see Drew back in Charleston soon. Elemental Devices is the talented multi-instrumentalist James Vernon Brown. He’s appeared on RFC as part of Quick & Dirty last year, and we’ll be seeing his video work on the show in the future. Since Elemental Devices is a studio creation and no live footage exists of the “group,” I assembled a music video using two short animated films by my brother Frank. Just sit back and soak in the awesomeness of this combination of music and visuals. Frank contributes his short “Twiney Spizzerms” to the show, too. This one features his own music as the magical spizzerms do a psychedelic ballet on a metaphysical plane of existence. Also existing on a higher plane, Chuck Biel’s Punk Jazz was a bright, shining explosion of progressive jazz fusion that shone like a supernova in 2008. Eli Namay on bass, Jimmy Holly on drums, Casi* Null on rhythm guitar and the master himself, Chuck Biel, on lead guitar wowed audiences all over town with their classy and artful virtuosity. Sadly, the group was short-lived. Eli departed to attend school in Chicago, where he’s training to be a legendary world-famous bass player. Rather than replace Eli, Chuck decided to go out on top. They played their final show last July. Footage from that show appears in the video for “Little Star,” but the audio was recorded at Davis Park last June. 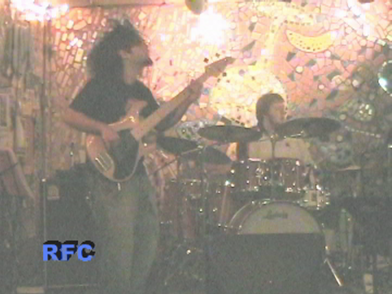 We end the show with a short sample of The Scrap Iron Pickers, Charleston’s instrumental supergroup, which includes Roadblock (The Ghosts Of Now), Johnny Sizemore (FreakTent) and Matt Wolfe (Byzantine). 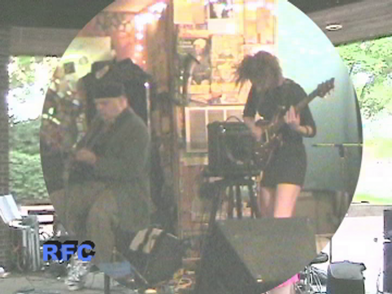 This one-camera recording of their song “Too Pissed Off To Sleep” plays under the end credits. We will definitely be giving The Scrap Iron Pickers the full RFC treatment in the future. A sad note: This episode of Radio Free Charleston is dedicated to the memory of Jonathan Moss, who was known to many as “Kryptonite.” Jonathan was killed last Saturday in a car accident on Kanawha Boulevard. 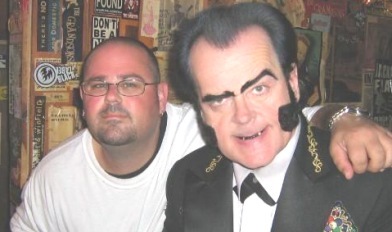 You can see Jonathan below with Unknown Hinson, in a photo borrowed from Libby Rojas. In addition to being a friendly face who seemed to know everyone at The Empty Glass, Jonathan was also a talented turntable artist. He was also an enthusiastic supporter of Radio Free Charleston, and was slated to join the show as an audio engineer. The RFC crew extends our deepest condolences to Jonathan’s family and his extended family of friends at The Empty Glass. This one’s for you, Kryptonite. 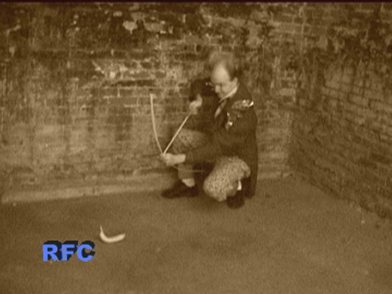 That’s it for RFC 57. Come back in two weeks for our next show, featuring music from Marcie Bullock and Lonely Town.